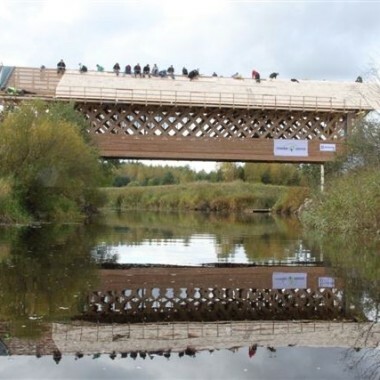 I've had the pleasure of leading workshops in several different capacities, from co-leading Timber Framers Guild projects, to helping to lead an international project to construct Estonia's first wooden covered bridge. 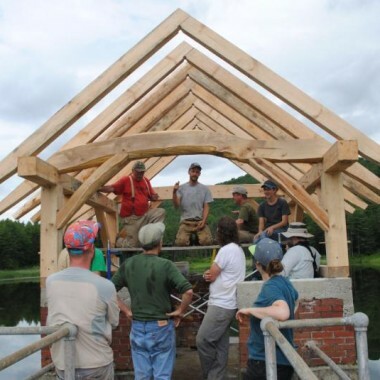 In 2014 I designed and taught a week-long timber framing workshop in Estonia for professional Estonian carpenters, and in 2015 taught a course near home, offered through Hogback Community College in Bristol VT. 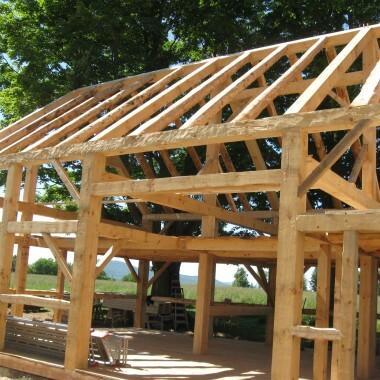 I enjoy leading timber frame workshops, and am happy to take inquiries about further teaching opportunities. 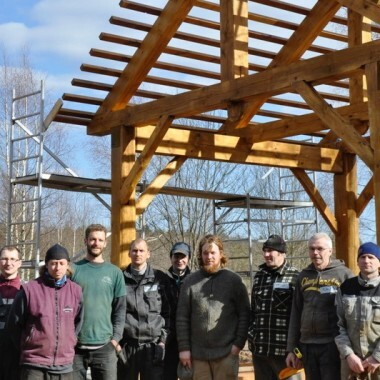 In the spring of 2014 I taught a one-week timber framing course to Estonian carpenters, which was hosted at the workshop of Vanaajama, an Estonian non-profit dedicated to traditional building techniques and historic preservation. We laid out, cut and raised a small pavilion for a local residential school.